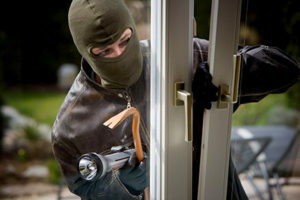 Sometimes, the best safety solution for a home or business is to start fresh with brand new locks. Maybe your locks are old and needing to be refreshed, or perhaps there are keys floating around in the hands of people you no longer trust, or maybe there has been a break-in attempt. A locks change is an easy process for a professional locksmith who can finish the new locks installment in no time at all. In a matter minutes, your sense of security is restored with safer locks. Worn Out Locks – Like anything mechanical, locks wear out. Maybe you’ve noticed that there is scuffing or rust on the lock, or maybe your key doesn’t seem to turn or fit well anymore. When this happens, the locks have become unreliable, and safety is a major concern should the lock outright fail. Even if they don’t completely cease to work properly, older locks are easier for criminals to pick or break to gain access to your home or office. Burglary or Attempted Break-In – If your lock has been completely compromised due to a burglary or an attempted break-in, it’s definitely a good time to just swap out the lock and start fresh with an entirely new lock. At the very least, plan on replacing the lock on the door where the break-in was attempted, but better yet, replace all of the locks on the entire house at every point of entry just to be on the safe side. Moving Into a New Home or Office – Unless your home or office is brand new, contracted by you to be built, someone else once occupied the space and had a key that opens your doors. Be on the safe side and replace all of the locks to be certain that you and those you trust are the only ones with access to open the locks and gain entry to your living or working space. Lost Keys or Keys in the Hands of Those You Don’t Trust – Whether you’ve lost your keys and don’t know the whereabouts of your keys or you know that they are potentially in the hands of someone you no longer trust, it’s time to wipe the slate clean and start fresh with brand new locks. After a divorce, a roommate moves out, or a co-worker quits, they most likely still have a copy of a key which means they can let themselves into your private quarters at any time unannounced. Even if you are on friendly terms, it’s better to be confident you are safe and secure, because maybe they’ve given your keys to a housekeeper, a neighbor who is no longer next door, or repairmen. If you know there is the possibility of a key out there, and you are just not sure the person who has it can be trusted, it’s best to get new locks and ease your worries. Time Has Passed – Even if you don’t think there is any reason to be alarmed about who has access to your front door, it is a good idea for everyone who owns a home or business with valuables inside to change the locks every few years. As time passes, locks wear out, especially those that are on the outside of a building in heat, snow, and rain. Not only do locks wear out over time, but the actual design and technology that goes into the way a lock is made is constantly improving. State-of-the-art locking technology makes it more difficult for a potential burglar to get them open. Needs your home or business locks change in Parker CO visit us Here! Parker Locksmith 24 - When you need a locksmith in Parker Colorado you are looking for a reliable, professional and affordable locksmith near you. Parker Locksmith 24 is your go-to locksmith in Parker CO, we are a quick, professional and reliable locksmith in Parker, CO and we are here to serve you 24/7. Parker Locksmith 24 | 24/7 Mobile Locksmith. © 2009-2015 Parker Locksmith 24. All rights reserved.